Sherlock Holmes is a fictional detective of the late 19th and early 20th centuries, who first appeared in publication in 1887. He is the creation of Scottish born author and physician Sir Arthur Conan Doyle. 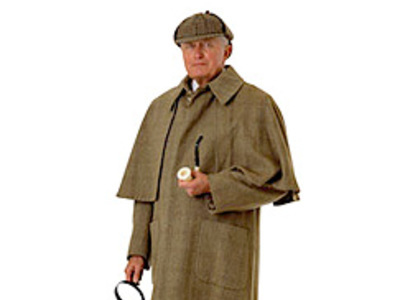 A brilliant London-based detective, Holmes is famous for his intellectual prowess, and is renowned for his skillful use of deductive reasoning and astute observation to solve difficult cases. 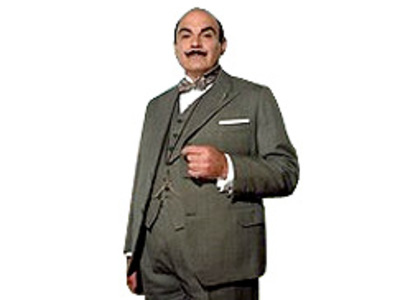 Hercule Poirot is a fictional Belgian detective created by Agatha Christie. Along with Miss Marple, Poirot is one of Christie's most famous and long-lived characters: he appeared in 39 novels and 50 short stories.